Hey guys! 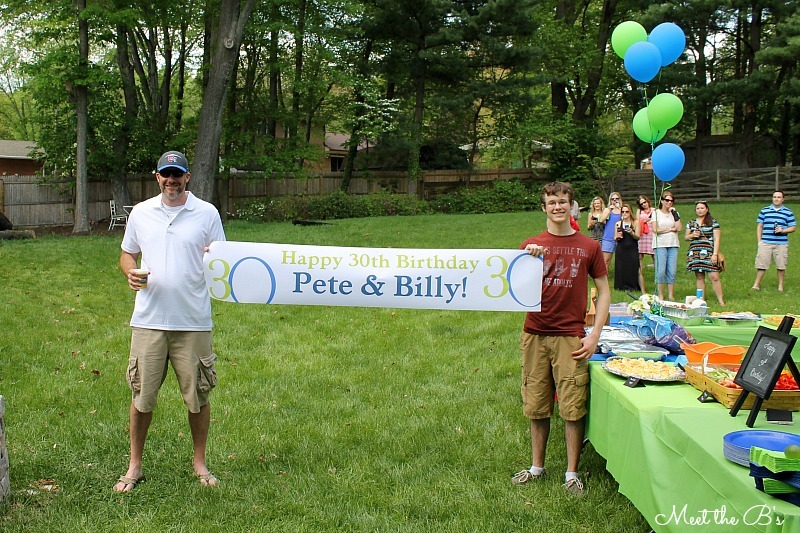 I keep promising to tell you more about the surprise party we had in May for my husband, Pete, and his best friend, Billy! I'm finallyyyyy spilling the details and will be sharing a few tutorials in the next couple of weeks! 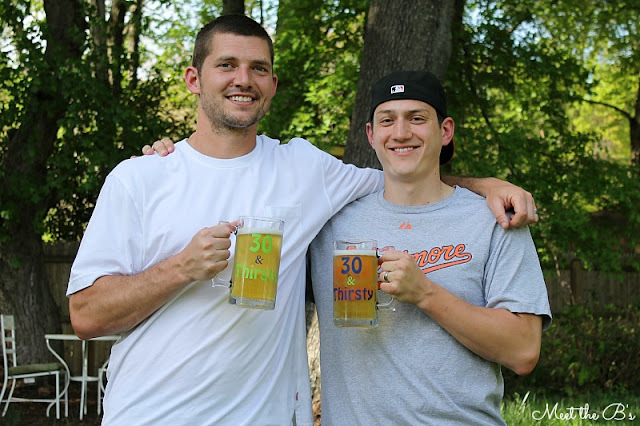 Pete and Billy have been best friends since their freshmen year of college back in 2003. 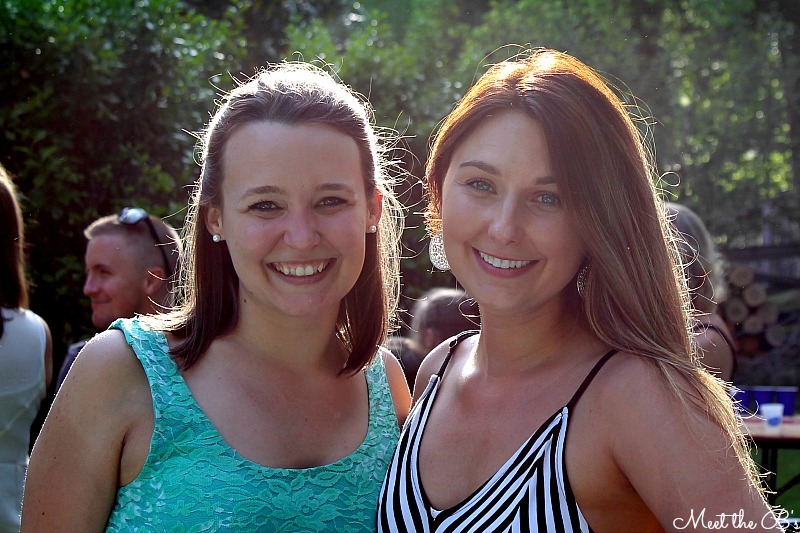 Although they now leave three hours away from each other, they've remained best friends. 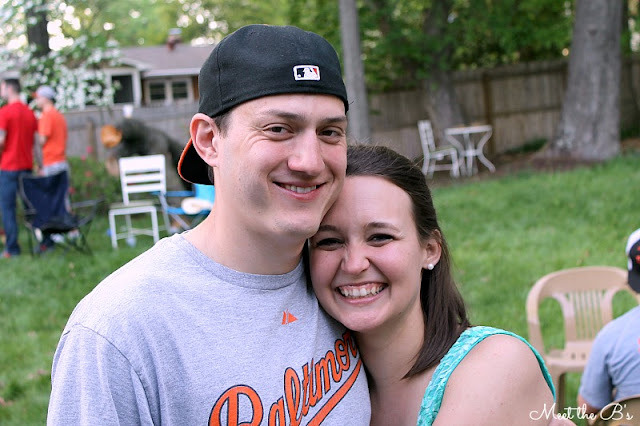 Billy and his wife, Jenny, are one of our favorite couples to spend time with! 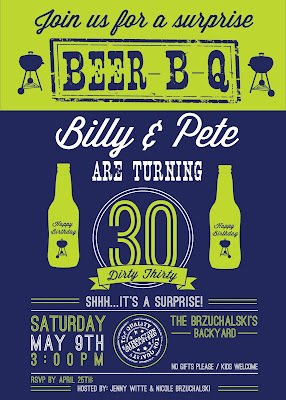 Billy and Pete both turned 30 this year, and their birthdays are one week apart, so Jenny and I thought it would be fun to let them celebrate together! We starting plotting our sneaky surprise party what felt like way too early, but it still snuck up on us! The party was a big success and so much fun! 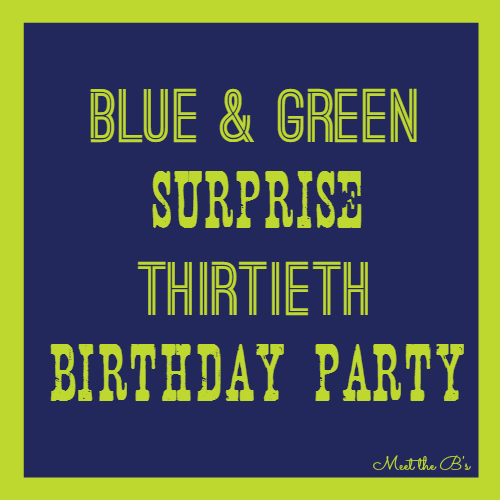 We decided to use blue and lime green because blue is Pete's favorite color and green is Billy's favorite color. 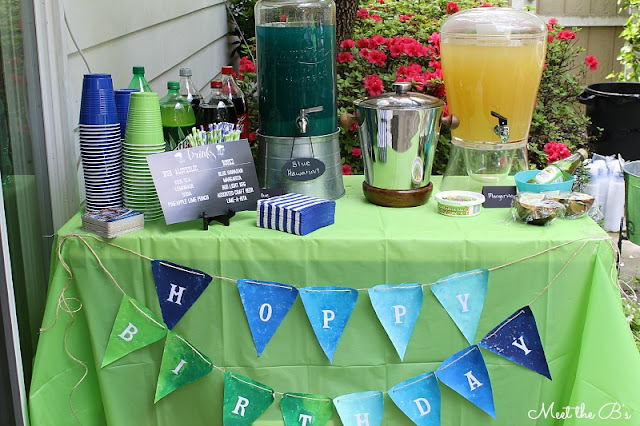 So all of decor was geared towards the blue and green theme! Jenny ordered these really cute invitation from ElleOL on Etsy in blue and green (our addresses and contact information have been removed for safety reasons). Jenny also painted this super cute "Hoppy Birthday" banner that we put on one of the beverage tables. Next to the table was a galvanized tub of craft beers (hence the "hoppy"). 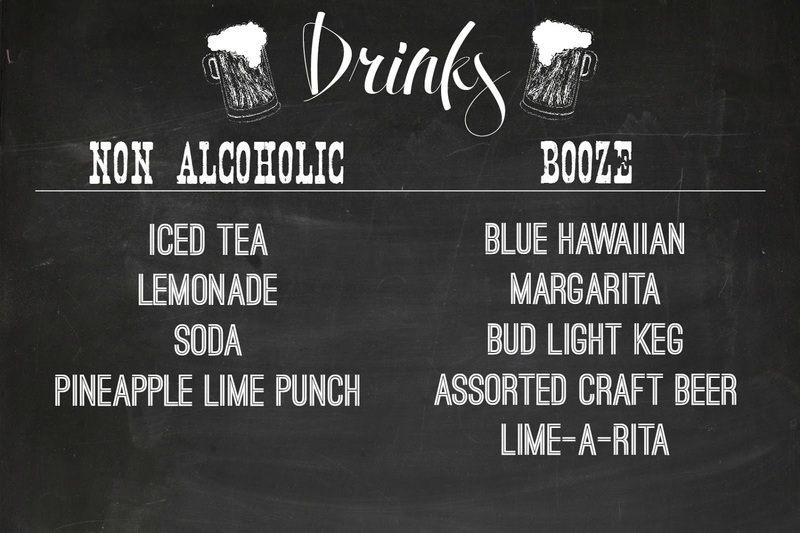 We made Blue Hawaiians and margaritas to put in the drink dispensers. I made a chalkboard drink menu using PicMonkey* and some graphics I purchased from StudioDesset on Etsy (hard to see in the photo, so see the graphic below). 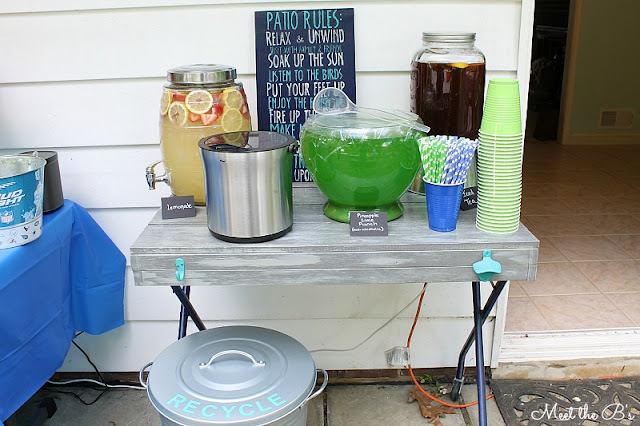 We used my DIY bar cart as the other drink table for Pineapple Lime Punch, lemonade, and sweet tea. Jenny put together a really cute nacho bar too, but we totally forgot to snag pictures of it! It was a big hit though! Who doesn't love nachos?! 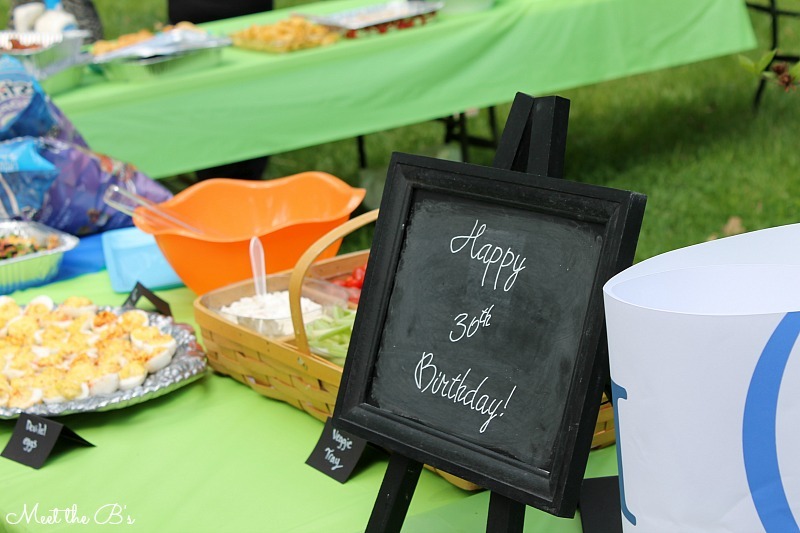 I made a little "Happy 30th Birthday" chalkboard sign as well as chalkboard food labels using black cardstock and a white chalk pen. 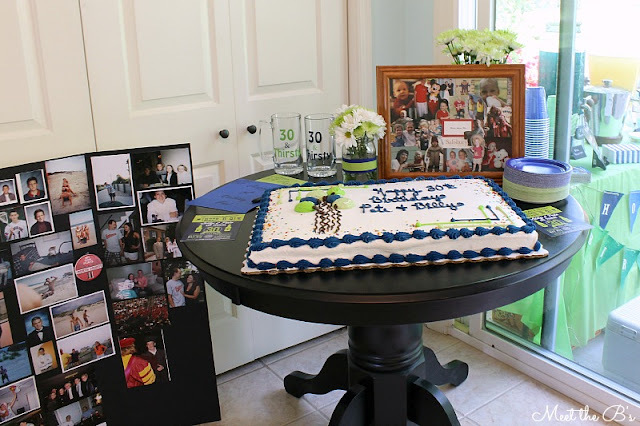 We ordered a big sheet cake from the bakery at Sam's Club and displayed it on a table with photo collages made by Pete and Billy's siblings, some mason jar vases I made, and some giant cards for everyone to sign! I also used my Silhouette* to design some "30 & Thirsty" beer mugs for the birthday boys! 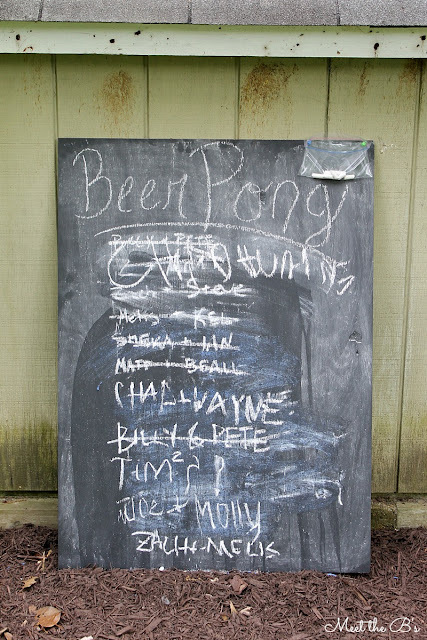 I made an easy beer pong sign up list by painting a sheet of plywood with chalkboard paint* and pinning a bag of chalk to it with blue and green thumbtacks. We had beer pong, corn hole, and dizzy bat games going on! We ordered a big birthday banner from Party City! They're super affordable and easily customizable to your color theme! My brother-in-law and little brother are showing it off below! 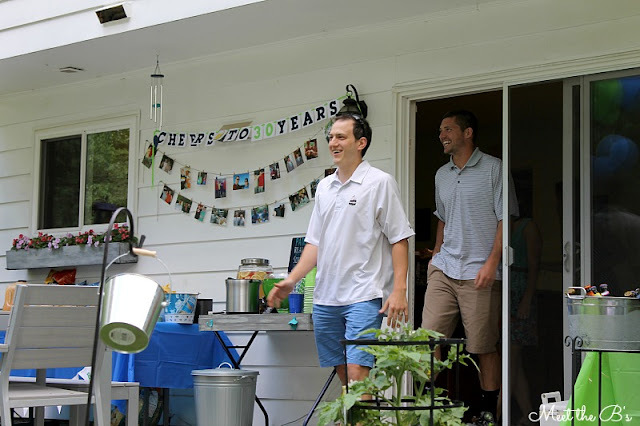 And here's the entrance of the surprised birthday boys!! Pete and I also made the big announcement at the party to all of our friends and family that we are expecting our first baby! And last, but not least, here's a photo of the hostesses! Jenny is one of my best friends, and I had so much fun planning with her! We both love crafting and planning, so we loved spending months working out all the details and pinning tons of great inspiration. Jenny and Billy are both amazing friends to us, and Pete and I are so glad to have them as friends! We're also beyond thankful for all of the friends and family who came to the party. Our families both pitched in a ton to help us make food for close to 100 people, and our friends pitched in by showing up early with extra tables, BBQ grills, etc. People traveled from all over the state to help us celebrate our husbands' thirtieth birthdays. We feel so blessed to have so many wonderful, caring people in our lives! 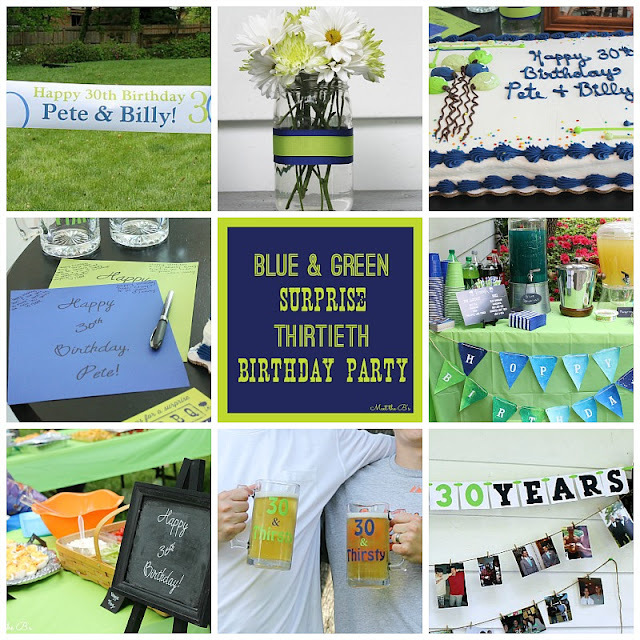 This blue and green surprise 30th Birthday Party is adorable. You did great work by arranging such a grand party on a budget. I am also finding inexpensive outdoor event location rentals for my engagement party. Do you have any experience or idea about walk in moon ? If you want to the feeling of walk in moon ,just rent the cheap moonwalks . You will have a lot of fun with the inflatable moonwalks. let's go for out a moon walk in house.